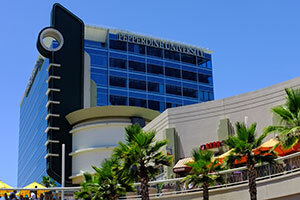 Pepperdine University offers library services at seven locations throughout Los Angeles, Orange, and Ventura counties. The Malibu campus of the University is located at the intersection of Pacific Coast Highway and Malibu Canyon Road. Parking is provided on campus. 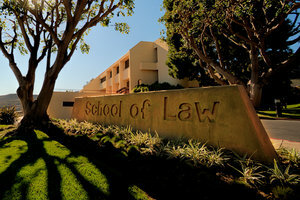 The Malibu Campus is the home to Seaver College and the School of Law, located on the main campus. The Graziadio School of Business Management, the Graduate School of Education and Psychology and the School of Public Policy are located on the Drescher Graduate Campus, located above the main campus. 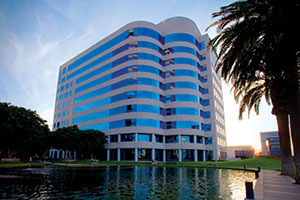 The San Fernando Valley campus is located in Encino on the second floor of the First Financial Plaza Building, two miles west of the San Diego Freeway (405). 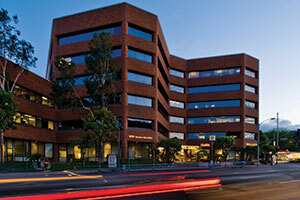 The building is a half mile south of the Ventura Freeway (101). Parking is provided in the structure behind the building, and the entrance is on Balboa Boulevard. 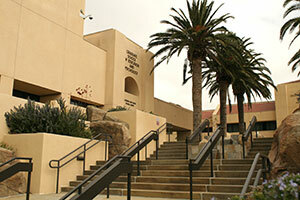 Pepperdine Libraries currently provide pick-up services only at the Calabasas site. For building and study space hours, please contact Calabasas building staff. The Calabasas Campus is located between Las Virgenes Road and Lost Hills Road, with close proximity to the 101 Freeway. The campus features a two-story building with ample parking. Situated near the top of the university's campus, Pepperdine's Odell McConnell Law Center surveys the spectacular beauty of the Southern California coastline. All of the law classes are held in the law center. Members of the Malibu community are welcome to visit the Payson Library on the Malibu campus to attend library programming and consult the print collections. Additionally, members of the general public who wish to use government documents online or in print at Payson Library may do so with the assistance of a librarian. Computers, printers, and scanners in any Pepperdine Campus Library are reserved for use by Pepperdine students, faculty and staff. Members of the general public interested in accessing the facilities and services are welcome to join the Friends of the Library or become a Crest Associate. Library Associates and Crest Associates may be granted access to use computers for up to two hours a day during off-peak periods at the discretion of library staff. Alumni may also be granted limited use of public computers in order to access library databases with librarian assistance. Please check with library personnel before use and note that proper identification is required for all Associates and Alumni. For more information about Friends of the Library and Crest membership see Giving. Note: Interlibrary loan services are always limited to current Pepperdine students, faculty and staff.